ProjectCenter offers professional web page design for all types of businesses including commercial and residential real estate, retail, manufacturing, services, government, education, health, etc. All ProjectCenter websites are professionally custom designed to meet your specific requirements. With custom web page design, we never use template web pages or library clip art, and we always transfer control to you upon completion. 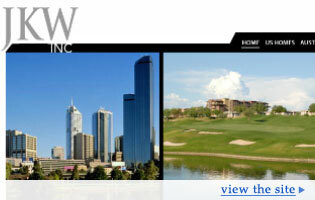 You like local Arizona web design or Phoenix web design? We are located in the Biltmore area for your convenience, but whether your business is located in the Phoenix valley or outside Arizona, ProjectCenter can provide you with high quality web designs along with personalized attention. Whether your business is located in the Phoenix valley or outside Arizona, ProjectCenter can provide you with high quality web designs along with personalized attention. Do you need help developing, maintaining or marketing your site? We can help you there too! ProjectCenter has experience with several web programming and markup languages. We also keep on top of how search engines work and can help you climb organic and PPC rankings. Want help marketing your website on social networks, aggregators, blogs, directories and other community sites? We've got you covered. Website Management - redesign, changes, and additions. Search Engine Optimization - Google, Yahoo, MSN, Ask, and more. This includes SEO / organic and PPC / paid rankings. Social Network Development - MySpace, Facebook, YouTube, and more. Request a web design quote online Let us know how we can help you. Use our online form or contact us to find out how we can help design and develop your website.